Kelly D. Foote, MD, is a graduate of the University of Utah, where he completed a BS degree in Materials Engineering as well as his Doctorate of Medicine. The U of U School of Medicine honored him with the Florence M. Strong Award in recognition of his outstanding qualities as a physician dedicated to patients. He did his general surgery internship at the University of Florida, where he also completed his residency in Neurological Surgery, including one year of dedicated training in Stereotactic and Functional Neurosurgery under the mentorship of Dr. William Friedman. In 2002, he completed additional specialized training in Movement Disorder Neurosurgery and Deep Brain Stimulation (DBS) at the Universite Joseph Fourier in Grenoble France, and Emory University in Atlanta two of the world’s leading centers for such studies. Dr. Foote is the Co-Director of the University of Florida Movement Disorders Center and has strong clinical and research interests in the application of computers and high technology to neurosurgical problems. His areas of expertise include deep brain stimulation for Parkinson’s disease and other disorders, stereotactic and functional neurosurgery, radiosurgery and brain tumors. His research investigating novel applications of deep brain stimulation is sponsored by the National Institutes of Health and his work in the fields of DBS and radiosurgery has been extensively published. Dr. Foote is sought after as a teacher and a dynamic public speaker. He moderates a nationwide on-line forum for the National Parkinson Foundation called “ask the surgeon”, in which he responds to patients’ questions regarding DBS and the surgical treatment of Parkinson’s disease. As a consultant for Medtronic, Inc. (the manufacturer of DBS devices) he teaches courses for physicians on how to perform DBS surgery, and he earns consistently stellar reviews from medical students and residents as a neurosurgery professor at the University of Florida College of Medicine. He is the recipient of numerous awards and prizes including the Congress of Neurological Surgeons annual resident award and the Charles Chuck Shank Award for Excellence in Neurosurgery at the University of Florida. 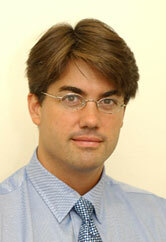 Dr. Foote is an avid sportsman who enjoys basketball, scuba diving, volleyball and snowboarding. He also speaks French fluently and enjoys travel and cinema. He welcomes your comments or questions, and can be reached by email.